My talk at the Vancouver Resource Investment Conference in January was titled Is D-Day for Silver Approaching?, and highlighted the delicate balance between supply and demand. I concluded that there would be insufficient metal to meet a major spike in investment demand if it were to occur, leading to all kinds of negative consequences for those who don’t own silver (and lots of wonderful rewards for those who do). I had plenty of compelling charts and convincing data. But here’s the rub: I don’t believe that what’s ahead for the price of silver (and gold) will have anything to do with that data. After all, there are articles from researchers and analysts that use similar data to paint a bearish outlook for the metal. Now, this is an RN in a hospital — someone who earns a good living and can afford to take a vacation and eat at the occasional fancy restaurant. She has money to buy birthday presents for her kids and probably contributes to a retirement account. But when the value of money begins to erode more seriously and inflation makes front-page headlines, and my nurse turns to precious metals to gain some semblance of lifestyle protection, what is she going to buy? If she can’t “afford” gold now, it won’t be any “cheaper” later. She’ll buy silver. And so will a lot of other panicked investors who don’t think they can “afford” gold and are watching their purchasing power relentlessly decline. It will drive prices higher. Perhaps wildly so. The effect on the availability of bullion is obvious and will be all negative — high premiums, delayed delivery, and mandatory rationing. For those of you who’ve followed our lead and purchased bullion, consider this: you’ll be paid above spot for any ounces you sell during this time. The message is crystal clear: if you don’t have a meaningful amount of silver bullion, buy more now. This is why I’m not worried that the silver price continues to be range bound. Precious metals will be pursued by an alarmed and increasingly angry citizenry as their money loses more and more value. And just like my nurse, many will find silver more affordable. The result is that silver’s percentage gain will almost certainly be much greater than gold’s. Meanwhile, the ramifications for silver producers are all positive. Revenue will jump. Earnings will rise. Dividends will increase. Stock prices will soar. 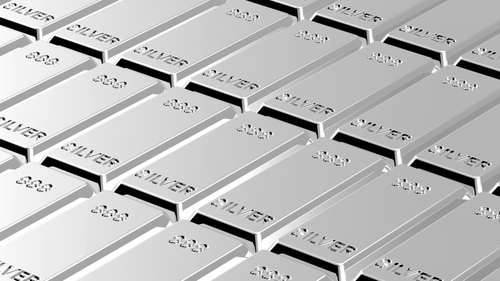 And given the small number of stocks of primary silver producers trading in the industry, the rise in their share prices could be breathtaking. This may seem like a distant scenario. And there will be retreats along the way, based on the false appearance of economic recovery — but these will just be last-gasp buying opportunities. Don’t worry about the timing. Whatever happens in the near term, global economies cannot avoid the fallout from currency abuse indefinitely. History has repeatedly shown this. We don’t know if the shift to price inflation will be sudden, occur in fits and jolts, or appear in a slow dawning, but escape it we will not. Make sure you own some silver bullion, my friends. And then buy the grossly undervalued miners.